Hiệp định tài chính Dự án “Nâng cao năng lực và tính hiệu quả cho Cục An toàn bức xạ và hạt nhân và các tổ chức hỗ trợ kỹ thuật của Cục” giữa Chính phủ nước Cộng hòa xã hội chủ nghĩa Việt Nam và Liên minh Châu Âu ký tại Hà Nội ngày 31 tháng 12 năm 2014, có hiệu lực kể từ ngày 31 tháng 12 năm 2014. Bộ Ngoại giao trân trọng gửi Bản sao Hiệp định theo quy định tại Điều 68 của Luật nêu trên./. VN 3.01/13 "Enhancing the capacity and effectiveness of the Vietnam Agency for Radiation and Nuclear Safety and its Technical Support Organisation/s"
This action is financed from the EU Budget under the following basic act: Instrument for Nuclear Safely Cooperation under the Multiannual Financial Framework 2007-­2013. 1.2. The total estimated cost of this action is EUR 2,000,000 and the maximum EU contribution to this action is set at EUR 2,000,000. 1.3. The Beneficiary shall contribute "in-kind contribution" to the project. 2.1. The execution period of this Financing Agreement as defined in Article 15 of Annex II (General Conditions) shall commence on the entry into force of this Financing Agreement and end 96 months after this date. 2.2. The duration of the operational implementation phase is fixed at 72 months. 2.3. The duration of the closure phase is fixed at 24 months. 5.2. In the event of a conflict between, on the one hand, the provisions of the Annexes and, on the other hands, the provisions of these Special Conditions, the latter shall take precedence. In the event of a conflict between, on the one hand, the provisions of Annex I (Technical and Administrative Provisions) and, on the other hand, the provisions of Annex II (General Conditions), the latter shall take precedence. This Financing Agreement shall enter into force on the date on which it is signed by the last party. Done in 2 original copies, 1 copy being handed to the Commission and 1 to the Beneficiary. The Vietnamese National Assembly adopted, in 2009, a plan for the use of nuclear energy. This foresaw the installation of about 10.7 GW of nuclear generating capacity by 2030 and the construction of a 550 kV electricity grid from the north to the south of Vietnam. Construction of the first nuclear power plant (NPP) was scheduled to start in 2014 with commissioning scheduled for 2020. Approximately 1 GW of new capacity was scheduled to be commissioned each year from 2020 to 2030. Bi-lateral agreements (including loans) have been signed with the Russian Federation (2010) and Japan (2011) for the construction of two reactors (each of 1 GW installed capacity) at each of two sites, Phuoc Dinh and Vinh Hai. The Vietnam Agency for Radiation and Nuclear Safety (VARANS) is responsible for the regulation and control of radiation and nuclear safety in Vietnam. VARANS is a relatively new organization. It has grown from less than 10 professional staff in 2004 to about several hundred foreseen by 2020. Most of the staff are relatively young, have a high level of education but with little practical experience of nuclear safety and/or its regulation. VARANS is also in the process of establishing its Technical Support Organisations (TSOs); this will comprise members of current VARANS staff, personnel from the Vietnamese nuclear related organizations and from other institutes where appropriate. VARANS, because of the relative inexperience and rapid growth of its staff, will face major challenges over the coming decade in regulating the introduction and use of nuclear energy in Vietnam. This challenge will be exacerbated by the installation of two different reactor designs (i.e., Russian and Japanese) for the first two nuclear power stations. Cooperation, under the auspices of the INSC programme, is therefore both timely and needed; in particular, it will contribute to ensuring that VARANS has the necessary competence and expertise for regulating nuclear safety in accordance with best international standards and practice. This project is a follow-up to project VN 3.01/09, the first cooperation with Vietnam in the area of nuclear safety under the auspices of INSC. The initial project began in mid-2012 and focused on enhancing the capacity and effectiveness of the regulatory body, VARANS. Maintaining continuity between the projects is important given the major challenges VARANS faces in establishing, in a timely manner, the necessary experience and competence for regulating nuclear safety in accordance with best international standards and practice. An initial logical framework is attached (see Appendix I). It may be updated or adapted without an amendment to the financing agreement as long as these modifications do not change the objectives of the action. The overall objective is to further enhance the capacity and effectiveness of the Vietnamese regulatory body, VARANS, and its Technical Support Organisation (TSO) in the regulation of nuclear safety. The enhanced efficacy and capabilities of VARANS will improve the governance of nuclear safety in Vietnam and contribute to bringing it in accordance with best international standards and practice. The project will be implemented through six tasks or activities, each of which is largely self- contained but, when taken together, form part of a broader and more integrated strategy aimed at enhancing the capacity and effectiveness of VARANS to regulate nuclear safety. The strategy and approach adopted to achieve the objectives of this project reflect those adopted successfully in several previous cooperation projects with nuclear regulatory bodies in countries embarking on the use of nuclear energy. The strategy is to actively engage with the regulatory body, assess its needs in terms of regulating nuclear safety in accordance with best European and international practice, and identify priorities for cooperation taking due account of the current state of development of its capabilities and the foreseen timescale for the use of nuclear energy. The activities will be implemented in a framework of cooperation with the concerned Vietnamese authorities and agencies and aimed at transferring EU know-how and experience in the related domains, without interfering with the exclusive responsibilities of the involved Vietnamese stakeholders. The cooperation will have two main directions. Firstly, the prevailing status and/or completeness of the legal and regulatory frameworks will be assessed and priorities for further development established taking account of the road map for the installation and operation of NPPs. Secondly, regulations and related guidance still under development, or yet to be developed, will be finalised according to the established priorities with a view to completing the legal and regulatory frameworks for inspection and licensing of all stages in the construction and operation of a nuclear reactor. ● to cooperate in the further development and completion of a quality management system for use by the regulatory body in fulfilling its functions of assessing and verifying the safety of nuclear installations (internal regulatory guides and procedures). The cooperation will have four main directions. Firstly, the overall structure of the quality management system will be reviewed, its fitness for purpose evaluated and improvements made where necessary. Secondly, the prevailing status and completeness of the system will be evaluated, in particular identifying any major gaps or deficiencies and establishing priorities for the further development of internal guides and procedures taking into account of needs in relation to the road map for the installation and operation of NPPs. In this context the following will, inter alia, be addressed: the development of a procedure or procedures for the commissioning and oversight of independent reviews and assessments of safety submissions; and the development of a system and/or procedures for effectively managing and coordinating the diverse support being provided to VARANS through various cooperation programmes. Thirdly, procedures and related guidance still under development, or yet to be developed, will be finalised according to the established priorities with a view to covering inspection and licensing of all stages in the construction and operation of a nuclear reactor. Fourthly, first-hand experience with the use of quality management systems, including the practical application of various procedures and guides (e.g., for carrying out safety assessments and reviews, inspections, enforcement actions, etc. ), by European regulators will be mainly transferred through ‘on the job training’ in Europe for VARANS staff members. The cooperation will focus on the further development of capabilities relevant to the construction and operational stages. Particular attention will be given to enhancing capabilities within VARANS for the commissioning and oversight of independent reviews, etc., of safety; during the early stages of the nuclear programme in Vietnam (i.e., while VARANS and its TSO are in the process of enhancing their experience and capabilities), such reviews and assessments will often need to be undertaken by external consultants. The priority areas where capabilities will be enhanced will be determined at a later stage in the process but will be selected from among the following: site characteristics; fuel; materials and ageing; design of safety systems, structures and components; safety analysis; operations; and quality assurance. The further development of capabilities will be achieved through focused training courses in Vietnam complemented by more extended periods of ‘on the job training’ of VARANS staff members in Europe (i.e., within European regulatory bodies or their TSO). ● to cooperate in the establishment of a sustainable training programme capable of delivering the goals of the human resources development plan. The existing human resources development plan and the associated training programme will be reviewed, their fitness for purpose evaluated (in particular in relation to the prevailing road map for the introduction of nuclear energy in Vietnam) and improvements made where necessary. Particular attention will be given to the adequacy of the plan and programme in relation to the planned increase in personnel in VARANS and its TSO from about 90 in 2011 to about several hundred in 2020. Cooperation will focus on: the development of a legal framework for the overall management of nuclear security and safeguards in Vietnam; the development of systems of accounting for and control of nuclear materials; the import and export of nuclear materials and their associated controls, the security of nuclear materials during transports, the management, use, maintenance and disposal of radioactive sources and equipment in the nuclear fuel cycle and of mobile radioactive sources; the provision of advice on the design, the setting up and the operation of dedicated laboratories for the support of nuclear security and safeguards; and training in all aspects of nuclear safeguards and security. ● to assist VARANS and its TSO with communication in a transparent way to the general public about the VARANS role and responsibilities in the process of nuclear safety regulation of nuclear power. Progress within each task and the project overall will be mapped against indicators set out in the logframe matrix (see Appendix I) and IAEA’s Specific Safety Guide, SSG-16 - ‘Establishing the Safety Infrastructure for a Nuclear Power Programme’. The latter provides guidance to States deciding and/or preparing to embark on a nuclear power programme on the establishment of a framework for safety in accordance with IAEA safely standards. The indicative operational implementation period of this action is as specified in Article 2 of the Special Conditions. The project activities will mainly take place in Hanoi, Vietnam. Subject to the following, the geographical eligibility in terms of place of establishment for participating in procurement procedures and in terms of origin of supplies and materials purchased as established in the basic act shall apply. The responsible authorising officer may extend the geographical eligibility in accordance with Article 14(7) of the basic act on the basis of the unavailability of products and services in the markets of the countries concerned, for reasons of extreme urgency, or if the eligibility rules would make the realisation of this action impossible or exceedingly difficult. The European Commission may carry out Results Oriented Monitoring (ROM) via independent consultants, starting from the sixth month of project activities, which will be finalised at the latest 6 months before the end of the operational implementation phase. The long term aspects will be based on Key Performance Indicators to be specified in the Terms of Reference. They will be defined so as to quantify the medium-long term impact of the action. The involvement of the Beneficiary in this evaluation exercise is important for the sustainability of the activities and the project results. VARANS is cooperating with several other countries and the IAEA in enhancing its capabilities for regulating nuclear safety. In particular, regulatory bodies in the Russian Federation and Japan (i.e., the countries supplying the reactors for the first two nuclear sites in Vietnam) have, or are in the process of establishing, cooperation programmes with Vietnam in the area of nuclear safety. Similarly IAEA, under the auspices of its Technical Cooperation Programme, will continue to support VARANS in further enhancing its capabilities. In principle, the multiplicity and diversity of sources of cooperation will be beneficial - in practice, however, there is a risk that the outcome will be otherwise (e.g., insufficient capacity in VARANS and its TSO to absorb the various sources of cooperation, inability to rationalise disparate approaches to regulation, etc.). Therefore effective donor coordination is essential between all cooperation programmes in order to ensure that they remain focused on the right priorities, avoid duplication and take the absorption capacity within VARANS into account. Arrangements will be put in place to achieve the necessary degree of coordination. The establishment, within this action (see Task 2), of approaches and/or procedures to ensure effective coordination-and management within VARANS of various cooperation programmes is one of a number of measures that will be taken. The IAEA established the Regulatory Cooperation Forum (RCF), which identifies the areas (defined as actions in the IAEA Special Safety Guide SSG-16) in which the VARANS is supported by the various donors. This is another measure to avoid possible overlap of donor’s support. Communication and visibility of the EU is a legal obligation for all external actions funded by the EU. Communication and visibility activities shall be implemented according to the well-defined standards and rules in The Communication and Visibility Manual for European Union External Action. These manual is part of the contractual oblisations of implementing partners/contractors and must therefore be carried out in the same way as any other contractual element. ● A final presentation meeting for the dissemination of the project results organised by the Contractor. Other actions to disseminate results or increase the visibility of the EU action may be implemented in parallel to the present projects. The project will be implemented by the European Commission, DG Development and Cooperation - EuropeAid, Unit B5, Instrument contributing to Stability and Peace, Nuclear Safety. All contracts and payments are made by the European Commission, on behalf of the Beneficiary. The project will be monitored in compliance with standard procedures. Monitoring and assessment should be based on periodic assessment of project activity progress, achievement of project outputs and its objectives. In addition to the follow-up and controls carried out on the spot, as necessary, by the Commission, including the European Antifraud Office (OLAF) and the Court of Auditors, projects shall be monitored on a regular basis by appropriately qualified specialists based in the field. Independent ex-post evaluations will be conducted periodically, in order to assess the relevance, effectiveness, efficiency and impact of the programme. Internationally recognised external auditor shall be appointed, in accordance with EU procurement rules. Expenditure verifications will be submitted as part of the service and supply contract requirements. Quality management system in operation and incorporating regulatory guides and procedures for all key activities. Methods transferred for carrying out independent assessments and for commissioning and evaluating assessments made by third parties. Revised human resources development plan. Practicable guidance on effective communication approaches. Training in use of approaches. Human resources development plan. Training programme. 1.1. The purpose of Part One is to define the budget-implementation tasks entrusted to the Beneficiary in indirect management as described in Annex I (Technical and Administrative Provisions) and to define the rights and obligations of the Beneficiary and of the Commission in carrying out these tasks. Part One shall apply to the budget-implementation tasks related to the EU contribution alone or in combination with the funds of the Beneficiary or of a third party where such funds are implemented in joint co-financing, i.e. where they are pooled. These tasks encompass the implementation by the Beneficiary as contracting authority of procurement and grant award procedures, and the awarding, signing and enforcing the resulting procurement and grant contracts. As a rule, the Commission shall carry out related payments to contractors and grant beneficiaries. However, the Beneficiary shall carry out certain payments including to its own staff on the basis of a programme estimate as defined in Article 5 of these General Conditions. Where the Beneficiary is an ACP State and the action is financed by the EDF pursuant to Article 1.1 of the Special Conditions, the tasks entrusted shall be those listed in points (c) to (k) of the sixth subparagraph of Article 35(1) and in Article 35(2) of Annex IV to the ACP-EC Partnership Agreement. Where the Beneficiary is an OCT and the action is financed by the EDF pursuant to Article 1.1 of the Special Conditions, the exercise of tasks entrusted shall also respect the conditions of Article 86(3) of Council Decision 2013/755/EU of 25 November 2013 on the association of the overseas countries and territories with the European Union (Overseas Association Decision). 1.2. The Beneficiary shall remain responsible for the fulfilment of the obligations stipulated in this Financing Agreement even if it designates other entities identified in Annex I (Technical and Administrative Provisions) to carry out certain budget-implementation tasks in the context of the implementation of a programme estimate referred to in Article 5 of these General Conditions. The Commission, in particular, reserves the right to suspend payments, and to suspend and/or terminate this Financing Agreement on the basis of the acts, omissions and/or situations of any designated entity. 1.3. The tasks identified in Article 1.1 of these General Conditions shall be carried out by the Beneficiary in accordance with the procedures and standard documents laid down and published by the Commission for the award of procurement and grant contracts, in force at the time of the launch of the procedure in question. 1.4. The Beneficiary shall set up and ensure the functioning of an effective and efficient internal control system. The Beneficiary shall respect the principles of sound financial management, transparency and non-discrimination and avoid situations of conflict of interest. A conflict of interest exists where the impartial and objective exercise of the functions of any responsible person is compromised for reasons involving family, emotional life, political or national affinity, economic interest or any other shared interest with a tenderer or applicant, or contractor or grant beneficiary. Internal control system is a process aimed at providing reasonable assurance that operations are effective, efficient and economical, that the reporting is reliable, that assets and information are safeguarded, that fraud and irregularities, are prevented, detected and corrected, and that risks relating to the legality and regularity of the financial operation are adequately managed, taking into account the multiannual character of the activities as well as the nature of the payments concerned. In particular, where the Beneficiary carries out payments pursuant to a programrae estimate, the functions of the authorising and accounting officers shall be segregated and mutually incompatible and the Beneficiary shall operate an accounting system that provides accurate, complete, reliable and timely information. The Beneficiary shall also reasonably protect data enabling the identification of a natural person (personal data). 1.5. Where made a part of this Financing Agreement pursuant to Article 5 of the Special Conditions, the report on the implementation of the tasks entrusted to the Beneficiary shall follow the template provided in Annex III. However, where programme estimates are used pursuant to Article 5 of these General Conditions, the report shall follow the requirements stipulated in the standard documents referred to in Article 5.3 of these General Conditions. Where made a part of this Financing Agreement pursuant to Article 5 of the Special Conditions, the management declaration shall follow the template provided in Annex IV. 1.6. An independent external audit opinion on the management declaration, performed in accordance with internationally accepted auditing standards, does not have to be provided in this case as the Commission shall conduct the audits for this action. These audits will verify the truthfulness of the assertions made in the management declaration and the legality and regularity of the underlying transactions made. 1.7. The Beneficiary shall conduct the procurement and grant award procedures and conclude the resulting contracts in the language of this Financing Agreement. 1.8. The Beneficiary shall inform the Commission when a candidate, tenderer or applicant is in a situation of exclusion from participating in procurement and grant award procedures referred to in Article 1.3 and when a contractor or grant beneficiary has been guilty of making false declarations or has made substantial errors or committed irregularities and fraud, or has been found in serious breach of its contractual obligations. In such cases, without prejudice to the power of the Commission to take measures against such entity according to the applicable Financial Regulation, financial penalties mentioned in the provisions on administrative and financial penalties of the General Conditions of procurement and grant contracts concluded by the Beneficiary pursuant to standard documents referred to in Article 1.3 may be imposed on the contractors and grant beneficiaries by the Beneficiary if this is allowed by its national law. Such financial penalties shall be imposed following an adversarial procedure ensuring the right of defence of the contractor or grant beneficiary. The Beneficiary may take into account, as appropriate and on its own responsibility the information contained in the Central Exclusion Database, when awarding procurement and grant contracts. Access to the information can be provided through the liaison point(s) or via consultation to the Commission1 (European Commission, Directorate- General for Budget, Accounting Officer of the Commission, BRE2-13/505, B-1049 Brussels, Belgium and by email to BUDG-C01-EXCL-DB@ec.europa.eu in copy to the Commission address identified in Article 3 of the Special Conditions). The Commission may refuse payments to a contractor or grant beneficiary in an exclusion situation. In case of programme estimates: In addition to the above, all relevant documentation relating to payments, recoveries and operating costs. 1.10. The Beneficiary shall ensure an appropriate protection of personal data. Personal data means any information relating to an identified or identifiable natural person. Any involving the processing of personal data, such as collection, recording, organisation, storage, adaption or alteration, retrieval, consultation, use, disclosure, erasure or destruction, shall be based on rules and procedures of the Beneficiary and shall only be done as far as it is necessary for the implementation of this Financing Agreement. c) Design its organisational structure in such a way that it meets the above requirements. 2.1. The procurement and grant contracts shall be duly signed by both parties during the operational implementation phase of this Financing Agreement and at the latest within three years of the entry into force of this Financing Agreement. Additional procurement and grant contracts resulting from an amendment of this Financing Agreement that adds new activities and increases the EU contribution shall be duly signed by both parties during the operational implementation phase of this Financing Agreerment and at the latest within three years of the entry into force of that amendment of this Financing Agreement. Where this action is financed from the EDF, programme estimates referred to in Article 5 of these General Conditions shall also be endorsed by the Commission within that three-year deadline. That three-year deadline may not be extended, except when the action is financed by the EDF. The extension shall be stipulated in Article 6 of the Special Conditions. 2.2. However, the following transactions may be signed at any time during the operational implementation phase. e. Contracts relating to audit and evaluation, which may also be signed during the closure phase. 2.3. After expiry of the three years of the entry into force of this Financing Agreement, any financial balance for activities entrusted to the Beneficiary for which contracts have not been duly signed shall be decommitted by the Commission. 2.4. Article 2.3 shall not apply to any financial balance of the contingency reserve or to funds available again after early termination of a contract. This balance or funds may be used to finance contracts referred to in Article 2.2. 2.5. A procurement or grant contract which has not given rise to any payment within three years of its signature shall be automatically terminated and its funding shall be decommitted. 3.1. The Beneficiary shall take the necessary measures to ensure the visibility of EU funding for the activities entrusted to it or for other activities under this action. These measures shall either be defined in Annex I (Technical and Administrative Provisions) or shall be agreed later between the Beneficiary and the Commission. These communication and information measures shall comply with the Communications and Visibility Manual for EU External Actions laid down and published by the Commission, in force at the time of the measures. b) 45 calendar days for other payments. The Commission shall act in accordance with Articles 4.6 and 4.7 within the period amounting to the time-limit for payment provided for in the procurement and grant contracts minus the above deadlines. 4.2. Upon receipt of a payment request from a contractor or grant beneficiary, the Beneficiary shall inform the Commission of its receipt and shall immediately examine whether the request is admissible, i.e. whether it contains the identification of that contractor or grant beneficiary, the contract concerned, the amount, the currency and the date. If the Beneficiary concludes that the request is inadmissible, it shall reject it and inform the contractor or grant beneficiary of this rejection and of its reasons within 30 days of receipt of the request. The Beneficiary shall also inform the Commission of this rejection and its reasons. 4.3. Upon receipt of an admissible payment request, the Beneficiary shall examine whether a payment is due, i.e. whether all contractual obligations justifying the payment have been fulfilled, including examining a report, where applicable. If the Beneficiary concludes that a payment is not due, it shall inform the contractor or grant beneficiary thereof and of the reasons. The dispatch of this information suspends the time-limit for payment. The Commission shall receive a copy of the information so dispatched. The Commission shall also be informed of the reply or corrective action of the contractor or grant beneficiary. That reply or action aimed at correcting the non-compliance with its contractual obligations shall restart the time-limit for payment. The Beneficiary shall examine this reply or action pursuant to this paragraph. 4.4. If the Commission disagrees with the Beneficiary's conclusion that a payment is not due, it shall inform the Beneficiary thereof. The Beneficiary shall re-examine its positions and, if it concludes that the payment is due, it shall inform thereof the contractor or grant beneficiary. The suspension of the time-limit for payment shall be lifted upon dispatch of this information. The Beneficiary shall also inform the Commission. The Beneficiary shall further proceed as provided for in Article 4.5. If disagreement between the Beneficiary and the Commission persists, the Commission may pay the undisputed part of the invoiced amount provided that it is clearly separable from the disputed amount. It shall inform the Beneficiary and the contractor or grant beneficiary of this partial payment. 4.5. Where the Beneficiary concludes that the payment is due, it shall transfer the payment request and all necessary accompanying documents to the Commission for approval and payment. It shall provide an overview of how many days of the time-limit for payment are left and of all periods of suspension of this time-limit. 4.6. After transfer of the payment request pursuant to Article 4.5, if the Commission concludes that the payment is not due, it shall inform the Beneficiary and, in copy, the contractor or grant beneficiary thereof and of the reasons. Informing the contractor or grant beneficiary shall have the effect of suspending the time-limit for payment, as provided for in the contract concluded. A reply or corrective action of the contractor or grant beneficiary shall be treated by the Beneficiary in accordance with Article 4.3. 4.7. Where the Beneficiary and the Commission concludes that the payment is due, the Commission shall execute the payment. (a) the number of days used by the Beneficiary is calculated from the date of the registration of an admissible payment request referred to in Article 4.3 to the date of the transfer of the request to the Commission referred to in Article 4.5 and from the date of information by the Commission referred to Article 4.6 to the following transfer of the request to the Commission referred to in Article 4.5. Any period of suspension of the time-limit for payment shall be deducted. (b) the number of days used by the Commission is calculated from the date following that of transfer of the request by the Beneficiary referred to in Article 4.5 to the date of payment and from the date of transfer to the date of informing the Beneficiary pursuant to Article 4.6. 4.9. Any circumstances unforeseen by the above procedure shall be solved in a spirit of cooperation between the Beneficiary and the Commission by analogy to the above provisions while respecting the contractual relations of the Beneficiary with the contractor or grant beneficiary. Where feasible, one party shall cooperate at the request of the other party in providing useful information for the assessment of the payment request, even before the payment request is formally transferred to or returned from the first party. 5.1. When the Beneficiary is additionally entrusted with making payments to contractors, grant beneficiaries and/or in the context of direct labour, it shall do so on the basis of a programme estimate agreed by the Beneficiary and the Commission beforehand. 5.2. The programme estimate is a document laying down the programme of activities to be carried out and the human and material resources required, the corresponding budget and the detailed technical and administrative implementing arrangements for the execution of these activities over a specified period by means of procurement, grants and/or direct labour. The programme estimate shall have an imprest component and a component of specific commitments. Under the imprest component of a programme estimate, the Beneficiary shall be entrusted with implementing the procurement and grant award procedures and carry out the related payments and the payments for direct labour. Under the component for specific commitments, the Beneficiary shall carry out tasks as referred to in the second subparagraph of Article 1.1 of these General Conditions; the Commission shall carry out related payment to contractors and grant beneficiaries. Certain identified activities, including audits, evaluations and recourse to the framework contract, shall be implemented directly by the Commission. Where the action is financed under the EDF, the tasks described in Annex I may be implemented by a body governed by private law on the basis of a service contract, awarded by the Beneficiary in accordance with the procedures and standard documents referred to in Article 1.3. 5.3. All programme estimates implementing the Financing Agreement must respect the procedures and standard documents concerning programme estimates and laid down by the Commission, in force at the time of the adoption of the programme estimate in question. Ordinary operating costs incurred by the entity in charge of the tasks entrusted to the Beneficiary referred to in Articles 1.1 and 5.1 of these General Conditions shall be eligible for EU financing under the imprest component of a programme estimate during the entire duration of the execution period of this Financing Agreement, unless an earlier start of cost eligibility is stipulated in Article 6 of the Special Conditions. These costs are incurred in carrying out budget-implementation tasks and include local staff, utilities (e.g. water, gas, and electricity), rental of premises, consumables, maintenance, short-term business trips and fuel for vehicles. They shall not include purchase of vehicles or of any other equipment, or any operational activity. Article 1.3 and 2.1 of these General Conditions shall not apply to these ordinary operating costs. 5.4. The Beneficiary shall submit to the Commission annually, by the date stipulated in Article 6 of the Special Conditions, a management declaration signed by the Beneficiary at the appropriate level using the template in Annex IV. 6.1. The Commission shall transfer funds no later than 30 calendar days after the date on which it registers an admissible payment request for pre-financing from the Beneficiary which contains the date, the amount and the currency; the time-limit shall be 90 calendar days for a payment request for replenishment or closure. Late-payment interest shall be due pursuant to the applicable Financial Regulation. The time-limit for the payment may be suspended by the Commission by informing the Beneficiary, at any time during the period referred to above, that the payment request cannot be met, either because the amount is not due or because the appropriate supporting documents have not been produced. If information which puts in doubt the eligibility of expenditure appearing in a payment request comes to the notice of the Commission, the Commission may suspend the time-limit for the payment for the purpose of further verification, including an on-the-spot check, in order to ascertain, prior to payment, that the expenditure is indeed eligible. The suspension and the reasons for it shall be communicated to the Beneficiary as soon as possible. The time-limit for the payment shall resume once the missing supporting documents have been provided or the payment request has been corrected. 6.2. The Commission shall make payments to a bank account opened at a financial institution accepted by the Commission. 6.3. The Beneficiary shall guarantee that funds paid by the Commission can be identified in this bank account. 6.4. Transfers in euro shall, if necessary, be converted into the Beneficiary's national currency as and when payments have to be made by the Beneficiary, at the bank rate in force on the day of payment by the Beneficiary. 6.5. The imprest component of a programme estimate which has not given rise to any payment to the Beneficiary within three years of the conclusion of the programme estimate shall be automatically terminated, and the corresponding committed amount shall be decommitted. 7.1. The Beneficiary undertakes to publish each year in a dedicated and easily accessible place of its internet site, for each procurement and grant contract for which it is contracting authority under the programme estimates referred to in Article 5, its nature and purpose, the name and locality of the contractor (contractors in case of a consortium) or grant beneficiary (grant beneficiaries in case of a multi-beneficiary grant), as well as the amount of the contract. The locality of a natural person shall be a region at NUTS2 level. The locality of a legal person shall be its address. If such internet publication is impossible, the information shall be published by any other appropriate means, including the official journal of the Beneficiary. Article 6 of the Special Conditions shall stipulate the location, on the internet or otherwise, of the place of publication; reference shall be made to this location in the dedicated place of the internet site of the Commission. 7.2. Scholarships to, and direct financial support of natural persons most in need-shall be published anonymously and in an accumulated manner by category of expenditure. Otherwise, names of natural persons shall be replaced by "natural person" two years after publication. The name of a legal entity containing that of a natural person involved in this entity shall be treated as a natural person's name. Publication of names of natural persons shall be waived if such publication risks violating their fundamental rights or damaging their commercial interests. The Beneficiary shall present a list of data to be published on natural persons with any justifications for proposed waivers of publication to the Commission which must grant prior approval to this list. Where necessary, the Commission shall complete the locality of the natural person limited to a region at NUTS2 level. 7.3. Publication of the procurement and grant contracts concluded (i.e. signed by the Beneficiary and the contractor or grant beneficiary) during the reporting period shall take place within six months following the date for submitting the report pursuant to Article 6 of Special Conditions. 7.4. Publication of contracts may be waived if such publication risks harming the commercial interests of contractors or grant beneficiaries. The Beneficiary shall present a list with such justifications to the Commission which must grant prior approval to such publication waiver. 7.5. Where the Commission carries out payments to contractors and grant beneficiaries, it shall ensure the publication of information on procurement and grant contracts according to its rules. 8.1. The Beneficiary shall take any appropriate measures to recover the funds unduly paid. Amounts unduly paid and recovered by the Beneficiary, amounts from financial guarantees lodged on the basis of procurement and grant award procedures, amounts from financial penalties imposed by the Beneficiary on candidates, tenderers, applicants, contractors or grant beneficiaries, as well as damages awarded to the Beneficiary shall be returned to the Commission. 8.2. Without prejudice to the above responsibility of the Beneficiary to recover funds unduly paid, the Beneficiary agrees that the Commission may, in accordance with the provisions of the Financial Regulation applicable and this Financing Agreement, formally establish an amount as being unduly paid under procurement and grant contracts financed under Part One and proceed to its recovery by any means on behalf of the Beneficiary, including by offsetting the amount owed by the contractor or grant beneficiary against any of his claims against the EU and by forced recovery before the competent courts. 8.3. To this end, the Beneficiary shall provide to the Commission all the documentation and information necessary. The Beneficiary hereby empowers the Commission to carry out the recovery in particular by calling on a guarantee of a contractor or grant beneficiary of which the Beneficiary is the contracting authority or by offsetting the funds to be recovered against any amounts owed to the contractor or grant beneficiary by the Beneficiary as contracting authority and financed by the EU under this or another Financing Agreement or by forced recovery before the competent courts. 8.4. The Commission shall inform the Beneficiary that the recovery proceedings have been initiated (including where necessary before a national court). 8.5. Where the Beneficiary is a sub-delegatee of an entity with which the Commission concluded a delegation agreement, the Commission may recover funds from the Beneficiary which are due to the entity but which the entity was not able to recover itself. The Beneficiary undertakes to confer with the Commission before taking any decision concerning a request for compensation made by a contractor or grant beneficiary and considered by the Beneficiary to be justified in whole or in part. The financial consequences may be borne by the EU only where the Commission has given its prior approval. Such prior approval is also required for any use of funds committed under the present Financing Agreement to cover costs arising from disputes relating to contracts. 10.1. Individual overruns of the budget headings of the activities implemented by the Beneficiary shall be dealt with by reallocating funds within the overall budget, in accordance with Article 25 of these General Conditions. 10.2. Wherever there is a risk of overrunning the amount foreseen for the activity implemented by the Beneficiary, the Beneficiary shall immediately inform the Commission and seek its prior approval for the corrective activities planned to cover the overrun, proposing either to scale down the activities or to draw on its own or other non-EU resources. 10.3. If the activities cannot be scaled down, or if the overrun cannot be covered either by the Beneficiary’s own resources or other resources, the Commission may, at the Beneficiary's duly substantiated request, decide to grant additional EU financing. Should the Commission take such a decision, the excess costs shall be financed, without prejudice to the relevant EU rules and procedures, by the release of an additional financial contribution to be set by the Commission. This Financing Agreement shall be amended accordingly. The Beneficiary and the EU commit to engage in a regular constructive dialogue at the appropriate level on the implementation of this Financing Agreement. Where the Beneficiary is an ACP State and this action is financed under the EDF pursuant to Article 1.1 of the Special Conditions, this dialogue may form a part of the broader political dialogue provided for in Article 8 of the ACP-EC Partnership Agreement. 12.1. The Commission shall verify the conditions for the payment of the tranches of the budget support component, as identified in Annex I (Technical and Administrative Provisions). Where the Commission concludes that the conditions for payment are not fulfilled, it shall inform the Beneficiary thereof without undue delay. 12.2. Disbursement requests submitted by the Beneficiary shall be eligible for EU financing provided that they are in accordance with the provisions set out in Annex I (Technical and Administrative Provisions) and that they are submitted during the operational implementation phase. 12.3. The Beneficiary shall apply its national foreign exchange regulations in a-nondiscriminatory manner to all disbursements of the budget support component. The Beneficiary hereby agrees to the publication by the Commission, of this Financing Agreement and any amendment thereof, including by electronic means, and of such basic information on the budget support which the Commission deems appropriate. Such publication shall not contain any data in violation of the EU laws applicable to the protection of personal data. All or part of the budget support disbursements may be recovered by the Commission, with due respect to the principle of proportionality, if the Commission establishes that payment has been vitiated by a serious irregularity attributable to the Beneficiary, in particular if the Beneficiary provided unreliable or incorrect information, or if corruption or fraud was involved. - a closure phase, during which final audits and evaluation are carried out and contracts and programme estimates for the implementation of this Financing Agreement are technically and financially closed. The duration of this phase is stipulated in Article 2.3 of the Special Conditions. It starts after the end of the operational implementation phase. Only expenditure necessary for the closure shall be eligible. These periods shall be reflected in the agreements to be concluded by the Beneficiary and by the Commission in the implementation of this Financing Agreement, in particular in delegation agreements and procurement and grant contracts. 15.2. Costs related to the principal operational activities shall be eligible for EU financing only if they have been incurred during the operational implementation phase; the costs incurred by the Beneficiary before the entry into force of this Financing Agreement shall not be eligible for EU financing unless provided otherwise in Article 6 of the Special Conditions. Costs related to final audits and evaluation, and to closure activities shall be eligible until the end of the closure phase. 15.3. Any balance remaining from the EU contribution will be automatically decommitted no later than six months after the end of the execution period. 15.4. In exceptional and duly substantiated cases, a request may be made for the extension of the operational implementation phase and correlatively of the execution period. If the extension is requested by the Beneficiary, the request must be made at least three months before the end of the operational implementation phase and approved by the Commission before that end. This Financing Agreement shall be amended accordingly. 15.5. In exceptional and duly substantiated cases, and after the end of the operational implementation phase, a request may be made for the extension of the closure phase and correlatively of the execution period. If the extension is requested by the Beneficiary, the request must be made at least three months before the end of the closure phase and approved by the Commission before that end. This Financing Agreement shall be amended accordingly. 15.6. Article 2 of these General Conditions shall apply to activities implemented by the Commission as contracting authority (direct management) with the exception of the second and third subparagraph of Article 2.1. 16.1. The Beneficiary shall assist and support the verifications and checks carried out by the Commission, OLAF and the European Court of Auditors at their request. The Beneficiary agrees to the Commission, OLAF and the European Court of Auditors conducting documentary and on-the-spot controls on the use made of EU financing under the activities under this Financing Agreement and carrying out a full audit, if necessary, on the basis of supporting documents of accounts and accounting documents and any other documents relating to the financing of the activities, throughout the duration of this Financing Agreement and for five years from the end of the execution period. 16.2. The Beneficiary also agrees that OLAF may carry out on-the-spot checks and verifications in accordance with the procedures laid down by EU law for the protection of the EU’s financial interests against fraud and other irregularities. To that end, pursuant to Regulation (EC, Euratom) No 2185/96 and to Regulation (EC, Euratom) No 883/2013, the Beneficiary shall grant officials of the Commission, OLAF and the European Court of Auditors and their authorised agents access to sites and premises at which operations financed under this Financing Agreement are carried out, including their computer systems, and to any documents and computerised data concerning the technical and financial management of those operations, and to take every appropriate measure to facilitate their work. Access by authorised agents of the Commission, OLAF and the European Court of Auditors shall be granted on conditions of strict confidentiality with regard to third parties, without prejudice to public law obligations to which they are subject. Documents must be accessible and filed in a manner permitting easy inspection, the Beneficiary being bound to inform the Commission, OLAF or the European Court of Auditors of the exact location at which they are kept. 16.3. The checks and audits described above shall also apply to contractors and grant beneficiaries, and subcontractors who have received EU financing. 16.4. The Beneficiary shall be notified of on the spot missions by agents appointed by the Commission, OLAF or the European Court of Auditors. 17.1. The Beneficiary shall immediately inform the Commission of any element brought to its attention which arouses suspicions of irregularities, fraud or corruption and of any measure taken or planned to deal with them. 17.2. The Beneficiary shall ensure and check regularly that the actions financed from the budget are effectively carried out and implemented correctly. It shall take appropriate measures to prevent, detect and correct irregularities and fraud and where necessary, bring prosecutions and recover funds unduly paid. "Irregularity" shall mean any infringement of this Financing Agreement, implementing contracts and programme estimates or of EU law resulting from an act or omission by anyone who has, or would have, the effect of prejudicing the funds of the EU, either by reducing or losing revenue owed to the EU, or by an unjustified item of expenditure. - the misapplication of such funds for purposes other than those for which they are originally granted. 17.3. The Beneficiary undertakes to take every appropriate measure to prevent, detect and punish any practices of active or passive corruption during the implementation of the Financing Agreement. "Passive corruption" shall mean the deliberate action of an official, who, directly or through an intermediary, requests or receives advantages of any kind whatsoever, for himself or for a third party, or accepts a promise of such an advantage, to act or refrain from acting in accordance with his duty or in the exercise of his functions in breach of his official duties, which has, or would have, the effect of harming the EU’s financial interests. “Active corruption” shall mean the deliberate action of whosoever promises or gives, directly or through an intermediary, an advantage of any kind whatsoever to an official, for himself or for a third party, to act or refrain from acting in accordance with his duty or in the exercise of his functions in breach of his official duties, which has, or would have, the effect of harming the EU’s financial interests. 17.4. The Beneficiary shall immediately inform the Commission (contacts pursuant to the third subparagraph of the Article 1.8 of the General Conditions) of the name of the entity that has been the subject of a judgment which has the force of res judicata for fraud, corruption, involvement in a criminal organisation, money laundering or any other illegal activity detrimental to the EU’s financial interests. 17.5. If the Beneficiary does not take appropriate measures to prevent fraud, irregularities and corruption, the Commission may adopt precautionary measures including the suspension of this Financing Agreement. c) the Commission suspects that the Beneficiary committed substantial errors, irregularities, fraud or breach of obligations in the procurement and grant award procedure or in the implementation of the action and needs to verify whether they have occurred. d) it is necessary to prevent significant damage to the financial interests of the EU. 18.2. The Commission shall immediately inform the Beneficiary about the suspension of payments and of the reasons for this suspension. 18.3. The suspension of payments shall have the effect of suspending payment time-limits for any payment request pending. 18.4. In order to resume payments the Beneficiary shall endeavour to remedy the situation leading to the suspension as soon as possible and shall inform the Commission of any progress made in this respect. The Commission shall, as soon as it considers that the conditions for resuming payments have been met, inform the Beneficiary thereof. Where the action is financed under the EDF, amounts unduly paid and recovered by the Commission, amounts from financial guarantees lodged on the basis of procurement and grant award procedures, amounts from financial penalties imposed on candidates, tenderers, applicants, contractors or grant beneficiaries, as well as damages awarded to the Commission shall be allocated to this action. 20.1. Where justified by the nature of the procurement or grant contract, the Beneficiary shall entitle natural and legal persons participating in invitations to tender for works, supply or service contracts or calls for proposals and entities expected to be entrusted with budget- implementation tasks identified in Annex I with a provisional right of establishment and residence in the Beneficiary’s territory(ies). This right shall remain valid for one month after the contract is awarded. 20.2. The Beneficiary shall also entitle procurement contractors and grant beneficiaries, entities entrusted with budget-implementation tasks identified in Annex I (Technical and Administrative Provisions), natural persons whose services are required for the performance of this action and members of their families with similar rights during the implementation of the action. 21.1. The Beneficiary shall apply to procurement contracts and grants financed by the EU the most favoured tax and customs arrangements applied to States or international development organisations with which it has relations. Where the Beneficiary is an ACP State, account shall not be taken of arrangements applied by it to the other ACP States or to other developing countries for the purpose of determining the most-favoured-State treatment. 21.3. subject, these provisions shall apply as well. 22.1. The Beneficiary agrees that its documents and data held by an entity with which the Beneficiary is in a contractual relationship regarding them may be forwarded to the Commission by that entity for the sole purpose of implementing this or another Financing Agreement. The Commission shall respect all confidentiality arrangements agreed between the Beneficiary and that entity. 22.2. Without prejudice to Article 16 of these General Conditions, the Beneficiary and the Commission shall preserve the confidentiality of any document, information or other material directly related to the implementation of this Financing Agreement that is classified as confidential. 22.3. The Parties shall obtain each other’s prior written consent before publicly disclosing such information. 22.4. The Parties shall remain bound by the confidentiality until five years after the end of the execution period. The contract related to any study financed under this Financing Agreement shall include the right for the Beneficiary and for the Commission to use the study, to publish it and to disclose it to third parties. 24.1. The Beneficiary and the Commission shall consult each other before taking any dispute relating to the implementation or interpretation of this Financing Agreement further pursuant to Article 29 of these General Conditions. 24.2. Where the Commission becomes aware of problems in carrying out procedures relating to management of this Financing Agreement, it shall establish all necessary contacts with the Beneficiary to remedy the situation and take any steps that are necessary. 24.3. The consultation may lead to the amendment, suspension or termination of this Financing Agreement. 24.4. The Commission shall regularly inform the Beneficiary of the implementation of activities described in Annex I which do not fall under Part One of these General Conditions. 25.1. Any amendment of this Financing Agreement shall be made in writing, including an exchange of letters. 25.2. If the request for an amendment comes from the Beneficiary, the latter shall submit that request to the Commission at least three months before the amendment is intended to enter into force, except in cases which are duly substantiated by the Beneficiary and accepted by the Commission. In the exceptional cases of an adjustment of the objectives of the action and/or an increase in the EU contribution, such request shall be submitted at least six months before the amendment is intended to enter into force. 25.3. If the adjustment both does not significantly affect the objectives of the activity implemented pursuant to Part One of these General Conditions, and if it concerns matters of detail which do not affect the technical solution adopted, and if it does not include the reallocation of funds, or if it concerns reallocations of funds within the limit of the contingency reserve, the Beneficiary shall inform the Commission of the adjustment and its justification in writing as soon as possible and may apply that adjustment. 25.4. The use of contingency reserve provided for an action shall be subject to the Commission’s prior written approval. 25.5. Where the Commission considers that the Beneficiary ceases to perform satisfactorily the tasks entrusted pursuant to Article 1.1 of these General Conditions and without prejudice to Articles 26 and 27 of these General Conditions, the Commission may decide to retake the tasks entrusted from the Beneficiary in order to continue the implementation of the activities on behalf of the Beneficiary after informing the latter in writing. - The Commission may suspend the implementation of this Financing Agreement if the Beneficiary breaches an obligation under this Financing Agreement. - The Commission may suspend the implementation of this Financing Agreement if the Beneficiary breaches any obligation set under the procedures and standard documents referred to in Article 1.3 and 5.3 of these General Conditions. - The Commission may suspend this Financing Agreement if the Beneficiary breaches an obligation relating to respect for human rights, democratic principles and the rule of law and in serious cases of corruption. - This Financing Agreement may be suspended in cases of force majeure, as defined below. “Force majeure” shall mean any unforeseeable and exceptional situation or event beyond the parties’ control which prevents either of them from fulfilling any of their obligations, not attributable to error or negligence on their part (or the part of their contractors, agents or employees) and proves insurmountable in spite of all due diligence. Defects in equipment or material or delays in making them available, labour disputes, strikes or financial difficulties cannot be invoked as force majeure. A party shall not be held in breach of its obligations if it is prevented from fulfilling them by a case of force majeure of which the other party is duly informed. A party faced with force majeure shall inform the other party without delay, stating the nature, probable duration and foreseeable effects of the problem, and take any measure to minimise possible damage. - Neither of the Parties shall be held liable for breach of its obligations under this Financing Agreement if it is prevented from fulfilling them by force majeure, provided it takes measures to minimise any possible damage. 26.2. The Commission may suspend this Financing Agreement without prior notice. 26.3. The Commission may take any appropriate precautionary measure before suspension takes place. 26.4. When the suspension is notified, the consequences for the on-going procurement and grant contracts, delegation agreements and programme estimates and for such contracts, delegation agreements and programme estimates to be signed shall be indicated. 26.5. A suspension of this Financing Agreement is without prejudice to the suspension of payments and termination of this Financing Agreement by the Commission in accordance with Article 18 and 27 of the General Conditions. 26.6. The parties shall resume the implementation of the Financing Agreement once the conditions allow with the prior written approval of the Commission. This is without prejudice to any amendments of this Financing Agreement which may be necessary to adapt the action to the new implementing conditions, including, if possible, the extension of the implementation period, or the termination of this Financing Agreement in accordance with Article 27. 27.1. If the issues which led to the suspension of this Financing Agreement have not been resolved within a maximum period of 180 days, either party may terminate this Financing Agreement at 30 days’ notice. 27.3. When the termination is notified, the consequences for the on-going procurement and grant contracts, delegation agreements and programme estimates and for such contracts, delegation agreements and programme estimates to be signed shall be indicated. 28.1. Any dispute concerning this Financing Agreement which cannot be settled within a six-month period by the consultations between the parties provided for in Article 24 of these General Conditions may be settled by arbitration at one of the parties’ request. Where the Beneficiary is an ACP State or an ACP resional body or organisation and this action is financed under the EDF, the dispute shall be submitted, prior to arbitration and after the consultations provided for in Article 24 of these General Conditions, to the ACP-EC Council of Ministers, or, between its meetings, to the ACP-EC Committee of Ambassadors, pursuant to Article 98 of the ACP-EC Partnership Agreement, If the Council or Committee does not succeed in settling the dispute, either party may request settlement of the dispute by arbitration in accordance with Articles 29.2, 29.3 and 29.4. 28.2. Each party shall designate an arbitrator within 30 days of the request for arbitration. Failing that, either party may ask the Secretary-General of the Permanent Court of Arbitration (The Hague) to designate a second arbitrator. The two arbitrators shall in their turn designate a third arbitrator within 30 days. Failing that, either party may ask the Secretary-General of the Permanent Court of Arbitration to designate the third arbitrator. 28.3. Unless the arbitrators decide otherwise, the procedure laid down in the Permanent Court of Arbitration Optional Rules for Arbitration Involving International Organisations and States shall apply. The arbitrators’ decisions shall be taken by a majority within a period of three months. 28.4. Each party shall be bound to take the measures necessary for the application of the arbitrators’ decision. 1 The Beneficiary shall be allowed to have direct access to the Central exclusion database through a liaison point when the Beneficiary certifies to the Commission service responsible that it applies the adequate data protection measures as provided in the Regulation (EC) No 45/2001 of the European Parliament and of the Council of 18 December 2000 on the protection of individuals with regard to the processing of personal data by the Community institutions and bodies and on the free movement of such data (OJ L 8, 12.1.2001, p. 1). 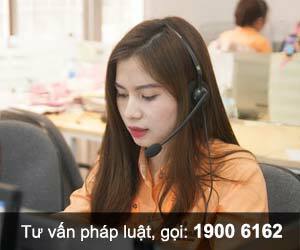 Thông báo 01/2015/TB-LPQT của Bộ Ngoại giao về hiệu lực của Hiệp định tài chính "Chương trình hỗ trợ chính sách ngành Y tế giai đoạn II: Hướng tới Công bằng và Chất lượng của dịch vụ y tế" giữa Chính phủ nước Cộng hòa xã hội chủ nghĩa Việt Nam và Liên minh Châu Âu"
Thông báo 48/2011/TB-LPQT của Bộ Ngoại giao về hiệu lực của "Hiệp định giữa Chính phủ nước Cộng hòa xã hội chủ nghĩa Việt Nam và Chính phủ Liên bang Thụy Sỹ về hỗ trợ tài chính cho Dự án cải thiện công tác xử lý nước thải và quản lý chất thải rắn tại các tỉnh lỵ"
Thông báo 21/2011/TB-LPQT của Bộ Ngoại giao về hiệu lực của "Hiệp định tài trợ cho Dự án "Hỗ trợ Nông nghiệp, Nông dân và Nông thôn tại các tỉnh Gia Lai, Ninh Thuận và Tuyên Quang" giữa Chính phủ nước Cộng hòa xã hội chủ nghĩa Việt Nam và Quỹ Phát triển Nông nghiệp quốc tế"
Thông báo 17/2012/TB-LPQT của Bộ Ngoại giao về hiệu lực của "Hiệp định giữa Chính phủ nước Cộng hòa xã hội chủ nghĩa Việt Nam và Chính phủ Liên bang Nga. Thông báo 68/2011/TB-LPQT của Bộ Ngoại giao về hiệu lực của "Bản ghi nhớ giữa Chính phủ nước Cộng hòa xã hội chủ nghĩa Việt Nam và Chính phủ Đại công quốc Lúc-xăm-bua về việc cung cấp chuyên gia và hỗ trợ kỹ thuật cho tăng cường năng lực và đào tạo trong lĩnh vực tài chính"